Driven to Reward Since opening our doors over 30 years ago, Long Haul Trucking has made it a habit to hire only the best, most polished and professional drivers. Being a trucking company, our drivers are who we count on every day to ensure our customers supply chains run on time. Without quality drivers we wouldn’t have the reputation of being the first class carrier that we are today. 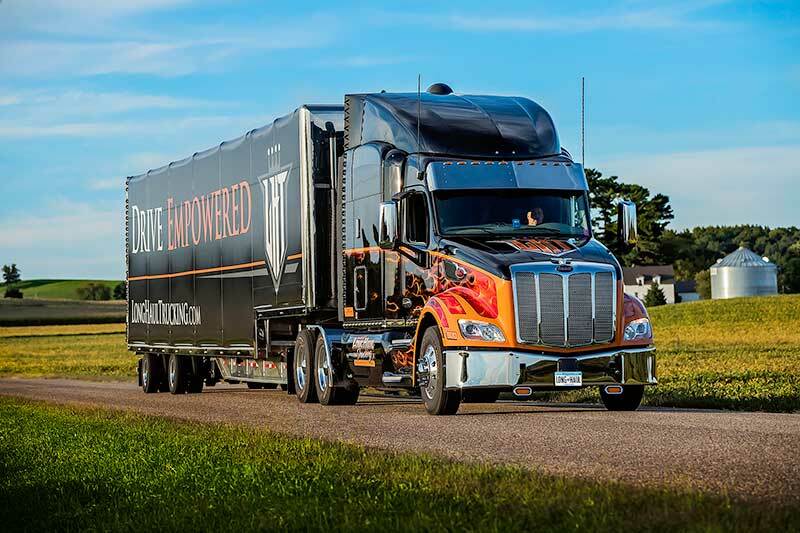 It is with our drivers hard work and excellent capabilities in mind that we are proud to offer two new rewards programs that will cover both the Company and Owner Operator divisions of our fleet. For our Company Drivers, we are excited to announce that we’ve included 1 additional week of paid vacation to our current vacation program. Effective the first of this year, all company drivers will receive 2 weeks of paid vacation for their first year of employment. Once they complete their third year they will increase to 3 weeks and eventually go all the way up to 4 weeks after working with us for five years. This is just a small way for us to say thank you and reward our company drivers for their continued partnership. Drivecam Stars of the Year! Jeffrey B, Jeffrey C, Mark S, Paul “Cubby” M and Perry C.
Congratulations again to each of you fine folks, we are proud to have you on the team! One of the perks that comes with driving for Long Haul is that you represent a company that’s known for having an elite safety record! Having great safety scores means that we get the green light often which keeps our drivers moving and able to get on to their next loads quickly. It is with this benefit in mind that we would like to remind all our drivers the importance of continuing to do the little things right while out on the roads. Never overlook the importance of a thorough pre and post trip examination of your tractor and trailer to ensure every piece of equipment is operating correctly. We always want to be known as the company that sweats the small stuff and takes pride in driving as efficient and safely as possible!